I have been getting a lot of questions from patients, lately, on how to own their empath abilities as strengths, rather than weaknesses. 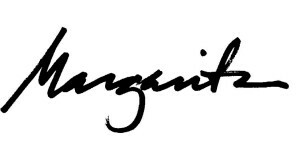 So much so, that I’ve been inspired to write about it! If I had a coin every time I met a lovely empath soul who felt more cursed, rather than empowered, by their gifts, I’d be buying all of New York City a gluten-free beer! And, that’s a lot of people. Being an empath is different from being empathic. To be empathic means you’re able to relate to how people are feeling. To be an empath means you are actually picking up another person’s energy as if it’s your own. This means that you could start your day off feeling wonderful; but, after dealing with toxic, angry people, you may take on their anger as if it’s your own, and not because you identify with what they’re angry about, or because they were directing their anger at you! It’s not uncommon for patients to come in and report feeling “gross”, “dirty”, or exhausted after taking a walk in the streets outside, when they started off feeling wonderful and full of energy. Although one could argue that most people feel that way after walking the streets of New York City for a certain period of time, the way an empath experiences it is slightly different. They have become an “energetic sponge”, if you will. And, being an energetic sponge when you’re simply walking a crowded city street can make you feel like you’re clogged up with other peoples’ energy. Which would make sense, since, as an empath, you are picking up all kinds of energies that don’t belong to you! And, then there are times when some peoples’ energy is needy, and they may be unknowingly siphoning from your energy, since you are so giving. This would result in you feeling exhausted, despite typical self-care routines of eating well, getting enough rest, and physical activities. Does this mean that you are doomed if you’re an empath? Of course not! But, you do need to understand it, so you can learn how to thrive as one. Literally feel someone else’s pain? Empaths can often pick up physical and emotional ailments that don’t belong to them. Whether it be walking down a crowded street, being at a party, being around certain coworkers, or friends and family, empaths will often feel what these people going through. In the most real sense of the word. Feel extremely responsible for another’s pain? Empaths often feel responsible for healing the pain of others, simply because they know what it is, when others may not, not even the person it’s affecting. They may want to help even if it has been unsolicited or denied. Feel confused about owning your feelings, when you’re not sure why you feel a certain emotion? We are taught, in society, to own up to our feelings and responsibilities. This generally is a good thing. But, it can be confusing for an empath to own their feelings, when they may feel sad, despite the fact that they are generally healthy and leading a satisfying life. And, I’m not referencing unfulfilled desires or misplaced feelings. I’m talking about feeling bad as a result of having taken on someone else’s energy. I often see this in patients who are concerned about a loved one’s health, and end up taking it on, whether it be consciously or subconsciously. Need massive alone time in order to recuperate? Sometimes, empaths are so used to being in tune with, and feeling, the wants of others, that they may forget about their own needs, unless they take some real time alone to regather themselves. Dislike being around groups of people because it is too overwhelming? This is different from agoraphobia, where there is anxiety in social situations and in specific environments. I’m talking about being around many people and feeling them all – happy, sad, angry, anxious, joyous. It can make one initially feel like they’ve slightly lost their mind! Sometimes feel dark, gross, and murky, even if you are in great physical and emotional health? When empaths take on others’ energies, it can be very disconcerting. I’ve even known empaths who didn’t know they were empaths, who self-medicated themselves in an effort to disengage from the pain they’ve picked up. Suffice to say, self-medication through recreational substances will block your energy, shut down your third eye, and make you more energetically vulnerable. Quite the opposite effect of what you may have been looking for! Often hear that you’re “overly sensitive”? I used to get this one all the time. It used to drive me bonkers! I heard this so often, that I believed it, resulting in shutting down my sensitivities, and not honoring who I really was for many years. In doing so, I also denied myself knowledge of the strengths inherent of being sensitive and an empath. If you responded “yes” to at least three of the above, then it is likely that you are an empath. It is important to recognize that you’re an empath, if you are one, for one big reason – so that you can tell the difference between your energy and other peoples’; and therefore, gain more clarity of what belongs to you, and what doesn’t. Just knowing this can make all the difference in the world. Once you realize that sometimes what you pick up isn’t yours to begin with, your sanity and self-confidence easily returns. Another reason why it’s important to recognize if you’re an empath is because then you can own your gift of clairsentience. People who have this “clair” ability are able to take in their intuitive information through feeling and “gut” response. When you own your gifts, you can hone them to work with it, rather than against it. I can’t tell you how many times I was able to veer from dangerous situations and people due to finally owning this! So, great, now you’ve identified that you’re an empath, and you’re ready to get clear on your energy vs. others’. Now what? If you’ve discovered you’re an empath, it’s important to train yourself to tell the difference between what energy belongs to you, and what belongs to others. This takes some introspection and practice. The best way to start is simply through creating awareness. If you notice that you’re feeling an uncomfortable emotion, find out if this is due to something that’s just occurred, and if it’s a direct cause and effect relationship. If it’s not, and you realize it may be an emotion that belongs to someone else, start noticing that. Once you’re able to get used to what’s yours and what’s not, you will feel less responsible for others’ pain, and you will be able to let go of the need to explore that pain any further on a personal level. You will eventually be able to notice when you are starting to feel another’s energy, and detach from owning it. You will be able to feel neutral about it. In time, you will be able to feel all of the emotions, even if some of it is not yours, and be able to control how much of it you let in. It is a must to hone your inner light and strength in order to do this. Aside from creating awareness around being an empath, you will need to release the shame and fear you’ve been carrying around about being an empath all of these years – the shame you’ve felt for not being like everyone else, the fear that there’s nothing you can do about it, and that it will hinder any happiness in your life. It’s no easy task. But, in doing so, you will feel more liberated and more able to own your abilities. You will feel happier in life, stronger, and more self-loving. And it also gives a sign to the Uni-verse that you are ready to own your power, thereby going with the flow, instead of against it. I am a total believer in psychic self-protection. But, before you use that as your go-to, understand that the best way to get stronger in your light and gifts is to cultivate your inner strength, first. When you strengthen yourself, emotionally, spiritually, and mentally (and of course, physically), you will only need to use psychic self-protection as a last resort. If you are in constant psychic self-protection mode, not only will this deplete your energy, leaving you exhausted, but you will also be depriving yourself the energy that would be best channeled into strengthening yourself. Meditate. Even if it’s for 5 minutes a day, any time that you dedicate towards cultivating mindfulness and presence, is priceless. In order to release the hold of negative illusion, getting back to self and center is like a muscle that needs to be flexed until it becomes reflex. There are many ways to meditate, choose one that resonates for you! Love all of yourself, including your flaws. When you practice this actively, not only are you honing into your self-love, but you are accepting and owning all parts of yourself, including those that you may have neglected. Forgive yourself for doing that, and onwards, ho! Rock on. Amethyst and lepidolite are allies for empaths. Amethyst clears one’s energy field of negative influences and attachments, and can thereby facilitate the creation of an energetic “shield” – a field of spiritual Light around the body that wards off the negativity in one’s environment. It protects, purifies, connects with the Divine, and releases addictions, among many other major benefits. It resonates with the Third Eye and Crown Chakras. Lepidolite is a high-lithium stone that is very useful in balancing one’s emotional body and calming the mind. It prevents one from using past emotional trauma as a badge of courage or a secret source of pride, and can help those who continually attract crises into their lives and stop identifying themselves as victims. It resonates with all chakras, particularly the Heart and Third Eye. Clear your aura. When you’re carrying the baggage of other peoples’ energies, it is vital to clear yourself of them. There are a few ways you can do this: by smudging (wafting white sage smoke around your person and blessing yourself), by taking an epsom salt bath + baking soda + essential oils (if you wish), or by asking Archangel Michael to clear your aura of energies that don’t belong to you. Receive energy healing treatments to clear your chakras and move your qi. Naturally, my favorite ways of doing this are through the modalities of Reiki and Acupuncture. These two methods are excellent choices to help you move through your fears, ground your energy, and release what no longer serves you. It strengthens you, too. And, the beauty of it all is that it all happens at your own personal pace, when you’re ready to release and reintegrate your Spirit. There’s no one else like you, and your healing journey is singular to you. If you identify as an empath, what has been your favorite way of cultivating your strength? This is interesting to read as I reflect on occurrences that have happened to me recently. Until this year, I could definitely describe myself as an “empath”, with qualities that fit what you’ve described. But since moving to back a big city, I’ve found that I’ve surprisingly been less susceptible to the usual overwhelm that I would feel in city environments. Before moving to the city, I made it a point to not get sucked in when I got there, since I knew that doing so would affect my health. I began to connect to strangers energetically (on a bus, for example), by realizing that we’re all the same. Realizing that others have stories and histories that make them who they are helped me to stay neutral and I felt strangely compassionate and connected with others who I wasn’t even interacting with. At the same time, I also was in a situation with a neighbor who was the happiest, kindest person you could meet (sentiments which were also echoed by everyone I knew). But aside from his happy exterior, I got a sick feeling every time I hung out with him. I felt disgusted and repulsed, but couldn’t explain why. I attributed it to the possibility that maybe I was only attracted to people who weren’t good for me. This continued for months until I finally got turned off by some comments he made to me. I cut off interactions with him and asked my apartment manager if I could move because I felt uncomfortable around him. I still felt guilty for having these feelings, to some degree because he was a nice person. Last week I found out from a new friend that he has a history of sexual harassment and possibly sexual assault! Reading this post really moved me because for the past 10 or so years, I have wondered why I can’t rely on my intuition and try to solve things by rationalizing them. Despite doing that in this situation, I realize that I did take the action that I needed to based on my intuition, which was to remove myself from his presence. I’m proud that I was able to listen to my body and take care of myself and put my well being first. I think that I was able to do this because of the self-care agreement that I made with myself before moving here. I know that I need to listen to my body to try and keep myself well. Inadvertently, that may have included listening to my intuition. Thanks for the post and for mentioning your ability to veer from dangerous situations and people due to owning your gifts! What excellent pointers you give! Those are big ones – cultivating compassion for others, so you connect with them, rather than feel defensive around them, and being in nature. Excellent tips to include! And the fact that you made a mindful effort to not allow overwhelm to take you over before moving into a big city is very smart. 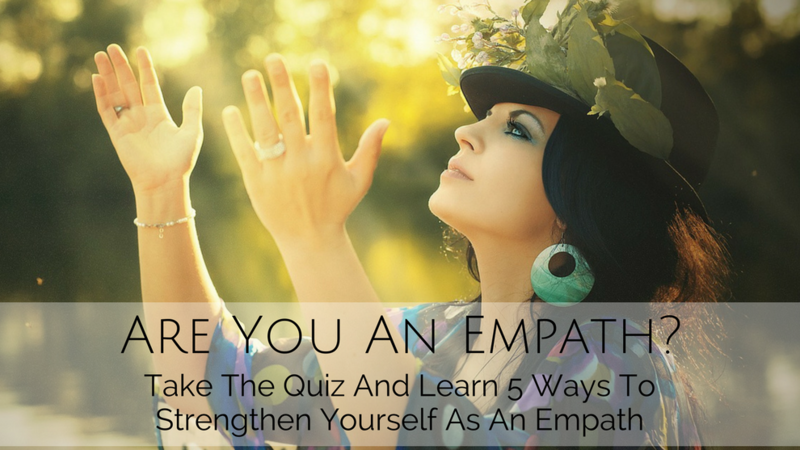 Sounds like you’ve been able to train yourself to be a strong empath, by taking care of, and knowing, yourself. You seem to really honor your intuition, as well, even if it may not make sense at the time. Turns out that it kept you from a possibly dangerous situation! What an incredible story. I’m so glad you listened to yourself.